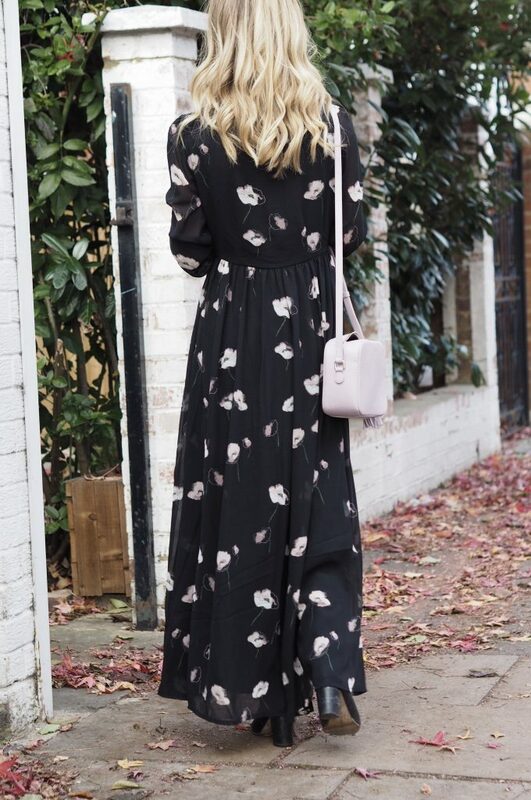 I have been looking for the perfect floral maxi for a while now and I think I have finally found it. I was after a dress that I could wear with boots, for those occasions when I wanted to feel a bit smarter and feminine. The maxi will take you from day to night with ease and while it is one of this season’s trend pieces, I also think it’s a fairly classic item that you will continue wearing for years. This dress comes with a built in slip which ends above the knee. I didn’t want the sheer look as I wore it with my old Whistles knee high boots and it looked strange so I pinched a long black slip from another dress and it made the dress look so much more expensive. I really love the boots I am wearing because they are so comfortable but if you wanted to update the look, you could opt for a boot with a pointed toe. 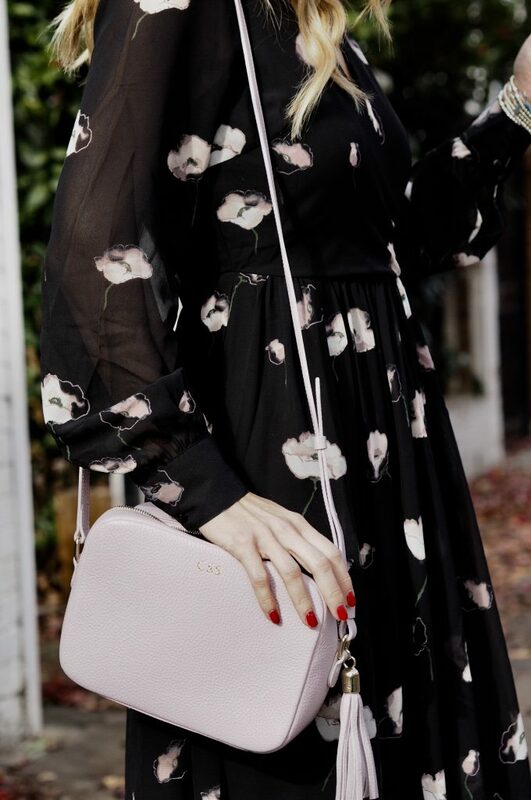 Another styling tip is to pick out a bright colour in the print of the dress and accessorise with a bag that matches, the way I have here with lilac. Hi Chloe. I love this dress. Does the regular size 8 come up too big then in this dress? I wouldn’t have thought about petite. I am a size 8 and 5ft 4! !